Ladies, if you’re like me, you had a teen idol. Yes, I know. It is a bit embarrassing to admit that any of us “mature adults” once dreamed of meeting Elvis, dancing with Paul McCartney or breathing the same air as Bobby Sherman. My idol (surprise!) was Peter Noone, Herman of Herman’s Hermits, the group that gave us such ear worms as “Mrs. Brown, You’ve Got a Lovely Daughter,” “I’m Henry the Eighth, I Am” and “I’m Into Something Good.” The Hermits’ bouncy, upbeat tunes had MGM Records whistling all the way to the bank, so much so that Herman and the lads outsold the Beatles in 1965. All said Herman’s Hermits scored 10 Top Tens, 20 Top Twenties as one of the top three bands of the British Invasion with more than 60 million records sold worldwide. 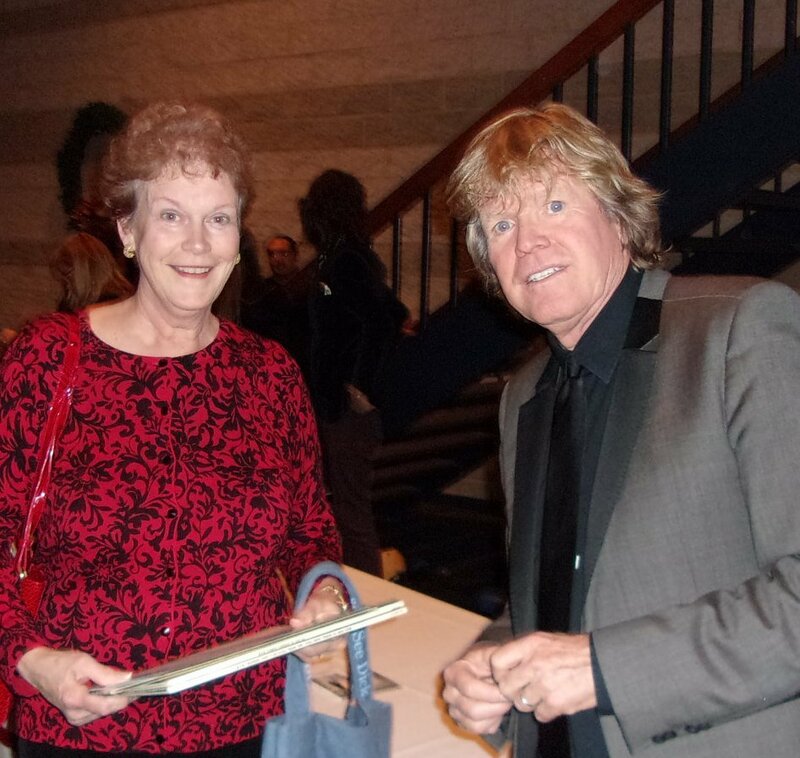 “When” came in 2013, the evening Herman and his new Hermits came to J. E. Broyhill Civic Center in Lenoir. After the band rocked the house, I got in line and had Peter sign several of those old albums, which he politely did as I watched his every move like a giddy 13-year-old. I emailed my writer friend, Elizabeth Searle, telling her that it really was possible to become a teenager again. She understood because we have this thing about celebrities. 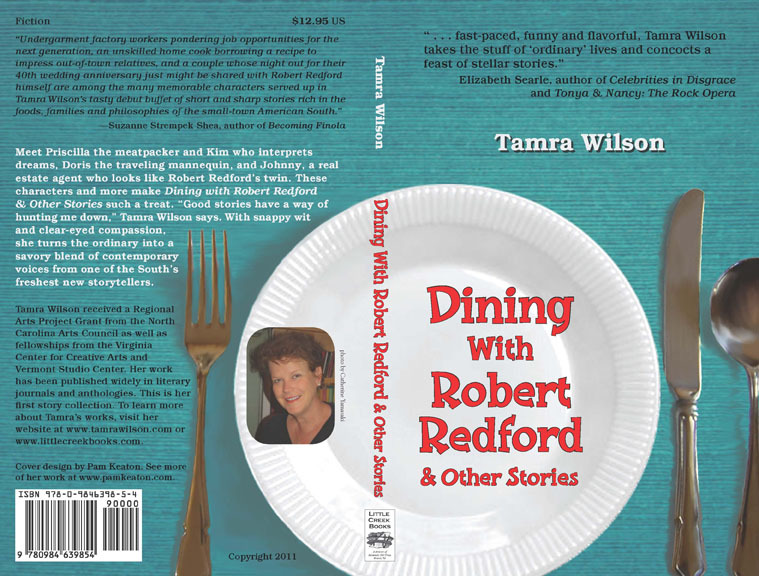 I had already written a book, Dining with Robert Redford, and she had penned the script for Tonya & Nancy: The Rock Opera. 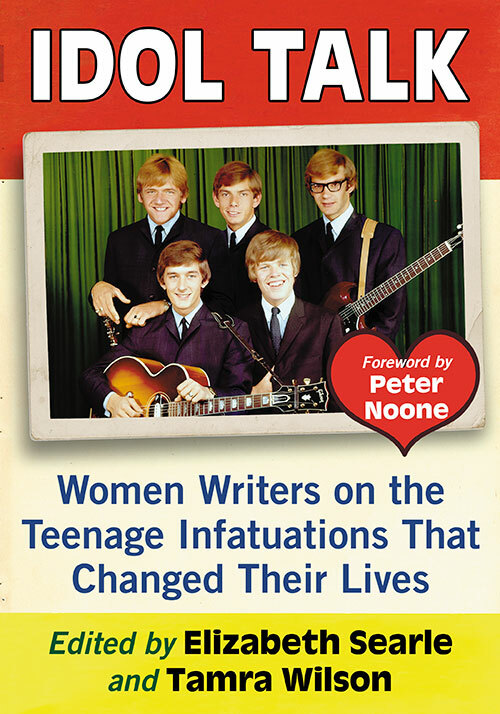 She agreed that it would be fun to co-edit an anthology about teen idols. What if we asked women writers to write about their teen idol crushes? No such book had ever been published before, and we might as well do it. So we drafted a 42-page proposal and found a literary agent. 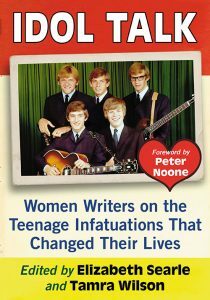 We contacted female writers we knew or knew of, fingers crossed that A) they had a teen idol and B) they would be willing to admit it in a published essay. Learning the identity of their girlhood crushes was like opening the door in a game of “Mystery Date.” We were ecstatic to nab Elvis through Goldman’s poignant essay about seeing him in 1956 at the Charlotte Coliseum. We reveled in learning about Watts’ love for Barry Manilow. And we were overjoyed to finally land the fourth Beatle, Ringo Starr, thanks to Gingher, who’s now a professor of creative writing at UNC-Chapel Hill. As our final copy deadline approached in February, we were unexpectedly put in contact with Ann Moses, former editor of Tiger Beat, a premiere fan magazine in the‘60s and ‘70s. She was eager to write copy for our book cover and we were thrilled to have her endorsement. Charlotte Writers Club-North is sponsoring an Idol Talk gala in August at Main Street Books in Davidson. Joining me will be contributors Judy Goldman, Lisa Kline and Amy Rogers. The public is invited.